ROMANCE BOOK PARADISE: Anne McAllister & Contest Plus Crusade! Anne McAllister & Contest Plus Crusade! "Write your story to please yourself. Don't haul it out for your friends or critique group all the time and try to please them. Please yourself and your characters. Believe in them and in your story and in yourself." Did you know that this romance writer completed her first book during her youngest son's nap times? It took a year. RITA Award-winner Anne McAllister was born in California, spent formative summer vacations on the beach near her home and on her grandparents’ small ranch in Colorado and visiting relatives in Montana. Studying the cowboys, the surfers and the beach volleyball players, she spent long hours developing her concept of "the perfect hero." (Have you noticed a lack of hard-driving Type A businessmen among them? Well, she promises to do one soon, just for a change!). One thing she did do, early on, was develop a weakness for lean, dark-haired, handsome lone-wolf type guys. When she finally found one, he was in the university library where she was working at the time. It didn’t matter. She knew a good man when she saw one. And they've now been sharing "happily ever afters" for 32 years. They presently have four children, four dogs, and one bionic cat who, contrary to all expectations, is working on his second millennium. Quite a few years ago they moved to the Midwest, but they spend more and more time in Montana. And as Anne says, she lives there in her head most of the time anyway. She wishes a small town like her very own Elmer, Montana, existed. She’d move there in a minute. Before she started writing romances, Anne taught Spanish, capped deodorant bottles, copyedited textbooks, got a master’s degree in theology, and ghostwrote sermons. It all became grist for the fictional mill — as has the family history she likes to learn more about every chance she gets. She might have to try her hand at that historical, after all — especially now that she's learned more about that second great-grandfather who claims to have shot 40 men! While she has written extensively for Harlequin American and Silhouette Desire and Special Edition, as well as single title, right now she is concentrating on Harlequin Presents. You'll find her books in both Presents and Presents Extras. And, as is usual with Anne, her characters never seem to totally go away. They are often cropping up in each other's books -- even across lines! On Reading and Writing…What do you love most about being a writer?Meeting people whose lives and jobs and lifestyles interest me, to find out what makes them tick. For instance, when I was writing about a bull rider, I got to know some bull riders. It not only helped me with my story and gave it credibility, it introduced me to some of the most interesting and nicest guys I’ve ever met. I met a major league umpire and a sand-castle builder and a whole lot of other people the same way — people I might never have known if I hadn’t been a writer. What do you like least about being a writer?Whatever part of the process I’m doing now. If I’m working on a first draft, doing revisions sounds great. If I’m revising, I long for the first draft stage. If I’m filling out art information sheets, I’d rather be doing anything else. It’s all a matter of the grass being greener…even when I know it’s not! Do you have a favourite locale or setting for your novels? What is it and why is it your favourite? I set a lot of my books in Montana and Wyoming because they are cowboy books and that’s the environment I’m most familiar with in terms of ranching. I would have to do a lot of research to write about Texas or Nevada cowboys as cowboying is different there. I like setting books in New York City because it’s my favourite American city and I have good friends there with whom I often stay, so I feel like I have my own "neighbourhood" and hangouts whenever I’m in New York. I also like the Bahamas — the out islands, not Nassau and Freeport, though they have their charm. I prefer the out islands because they are peaceful and unspoiled and truly "paradise" when I want to write about two people being alone together. Which of the books you have written is your favourite?I don’t have a favourite. I love them all. Sometimes a particular hero grabs me and I get attached to him, but pretty much I like all of them. If I didn’t, I wouldn’t have bothered to write the story. On Romance…Describe the ultimate romantic meal.Whatever meal you’re sharing with the person you love. What is your all-time favourite romantic movie?Charade with Cary Grant and Audrey Hepburn or The Cutting Edge with D. B. Sweeney and Moira Kelly. What is the most romantic gesture or gift you have received?Once I had a book with a cover I really loved. And my husband found out who the artist was and bought me the illustration for my birthday. It was entirely unexpected and I was thrilled. How do you keep the romance alive in your relationship?We laugh a lot. Where is the most romantic place you’ve ever travelled?A little island in the Bahamas. We had fantastic scenery, deserted beaches, wonderful food — and each other. All About Me…Besides writing, what other talent would you most like to have? To be a good friend, to be there when the chips are down, to have a good sense of humour. Who is someone you admire and why?My friend Linda who is caring despite the cost, has a wonderful laugh, and a great sense of humour — even in the face of adversity. What quality do you most admire in a man?Fidelity (which contains a whole lot of other admirable things — like commitment and honesty and integrity and faithfulness, among others). What is the one thing you've always wanted to do, but never had the courage to try?To write a historical. I’m afraid I would write some anachronism that I wouldn’t catch before the book went to press. If you weren’t a writer, what would you be?Whatever else I did, I would always be a writer. What quote or personal saying do you live by? Who said it? "You have to do a thing before you know how in order to know how after you have done it." — Plato. This information is shared from here. If you would like to contact Anna, you can email her! 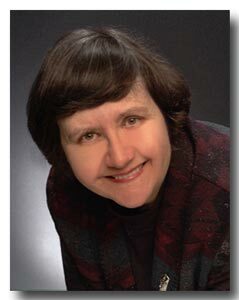 Anne McAllister has written over 60 romance novels for Harlequin Presents, Silhouette Desire and Special Edition and Harlequin American as well as novellas and a single title. She has won two RITA awards from the Romance Writers of America — for COWBOY PRIDE and THE STARDUST COWBOY — and has had nine other books which were RITA finalists, including ONE-NIGHT MISTRESS...CONVENIENT WIFE, which is one of this year's finalists. 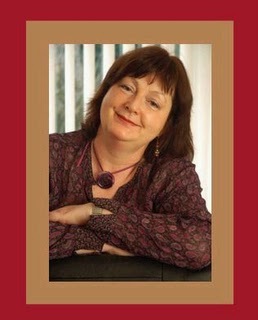 Her books have also been finalists for the National Readers' Choice Award. In 2000, she was named Midwest Fiction Writers "Writer of the Year" and also received Romantic Times' Career Achievement Award as "Series Author of the Year." But while the awards and sales are wonderful, Anne thinks the best part of writing is telling the story. With every new book she writes, she meets new characters – or gets to know old ones even better – and discovers what makes them and their relationships tick. It's the relationships that interest her most and the question about "where do you get your ideas?" has always astonished her as she has more ideas than she knows what to do with! Anne grew up on the beaches of southern California, and spent summers in Montana and on her grandparents' small ranch in Colorado. They were formative experiences — not only in providing her settings, but in giving her heroes. She finds herself attracted to lean, dark, honorable men – often lone wolf types – who always get the job done, whatever it might be. She loves writing romance because she thinks getting people together with their soul mates is the best job in the world. It has allowed her to meet amazing, interesting people and see places she never imagined she would see. Happily, too, since she divides her time between Iowa and Montana, it's a job she can do without having to scrape the ice off the windshield of her car before going to work! In her 'spare' time she takes her dogs for walks and discusses plot problems with them, or she works on family history research and writes articles for genealogical publications. It's all grist for the mill. You never know when some tidbit of family lore is going to spark off an idea that will solve one of those plot problems. The dogs sometimes show up in books, too. She finds it handy that her four grown children have such interesting lives that she can pick up the phone and pick their brains – or visit their friends. For her Savas' Defiant Mistress, one provided the architect resource, another had connections to houseboat dwellers in Seattle. Anne and her husband, The Prof, spend the school year in the Midwest now, but are looking forward to more time in Montana when he retires. They'll also be spending time visiting grandchildren (and the grandchildren's interesting parents, too). But wherever they go, Anne will always be writing. There are too many ideas not to! But a chance encounter with the infamous Demetrios Savas has this princess desperate to throw the rule book out of the window! Demetrios Savas’s heart is empty – that’s the way he likes it. So how has one night with this delectable stranger left him reeling? And why is he craving to taste such deliciously forbidden fruit once more? Anne McAllister, together with Kate Walker and Liz Fielding are holding a contest! You'll remember we did a Get to Meet Kate Walker and Today it's Liz Fielding! earlier. Each winner will win a set of all three books! If you want to enter the contest – you get three chances to win! – go to each of their contest pages, answer the three questions there, follow the rest of the directions on how to enter, and you’ll have three chances to win the books. Closing date is February 14th - so if you get the answers right you'll get to share Valentine's Day with their three gorgeous heroes! GOOD LUCK! And one of our blogging friend, Rachael, came up with a super crusade for writers! I've also got a link on my sidebar, just under THE FOLLOWERS. Click on that to see what it is all about! Don't miss your chance to join the crusade. Head over there right now to sign up! Welcome to all new followers, but please make sure you have your blog linked to your friend connect profile. Check by clicking on your floating head on the friend connect. If your photo is not linked then I will not be able to follow you back! Great interview Nas and Anne! Anne, I love what you say about pleasing yourself with what you've written. Accepting critisism is important, but sometimes (between cp's, contests etc...) it's possible to get so much differing feedback that we start to doubt ourselves or what we've written. If there's a issue with a manuscript that everyone is mentioning, then by all means a writer should fix it...improve their craft...but there's also a point where they have to be true to their gut. Great advice! Ref: writing tip – I so agree. I do that all the time. I feel like if I don’t like what I wrote, I can’t tell people to buy it and read it when I myself wouldn’t read it. I stand behind everything I write and do it from the heart, as all writers should. It makes writing so much more enjoyable. Ref: Meeting people – That sounds great. I envy authors for their courage to walk up to some professional and learn about their skills for a book. It makes reading those books so much more enjoyable when you know the author actually did the research to back up their plot and characters. Ref: Romantic vacation in Bahamas – That sounds like so much fun, and totally romantic. Rula, Yes, totally. You have to be able to accept criticism. But you need to be confident that the book is what YOU want it to be. So fix the stuff that makes sense to you, but don't let others tell you what to do if it makes you feel as if the book is less your own. The idea is to make it BETTER, not to make it what THEY think you should write! Angelina, ditto what I said to Rula. Be happy with what you write. It's YOUR book. And, yes, meeting people is the best part -- doing research and learning about other peoples' jobs and hopes and ways of life. A real joy. And the Bahamas are fabulous. One of my favorite places. But as far as islands go, Nas tells me Fiji is pretty special. Certainly my stepdad thought so. He thought it was God's country -- and he couldn't wait to go back! I look forward to visiting it someday! Wonderful interview. And Persuasion may be my favorite Austen book ever, too! I agree with you, Anne's advice about accepting critisism is a great way to move forward. Let's visit Bahamas! But as Anne says, Fiji is God's own Country! It is commonly known as PARADISE IN THE PACIFIC! It's great that you took time out from your busy schedule to be here with us. We all extend a very warm welcome to you. Now, you are teaching a class, is it a romance writing class? Fantastic interview! Thanks for visiting my blog, Nas. Lydia, I'm glad to know there are others who like Persuasion more than P&P -- though it's a fabulous book. Talli, it's lovely to see you here. Thanks Anne, for the information on WHO DO YOU THINK YOU ARE, and the research into common people's life sounds interesting. Hi Talli, thanks for dropping by. Hello Lydia, glad you also like Persuasion! Great interview, Nas! I like the slightly offbeat questions that can evoke either a sensible or humourous answer. You sprinkled in lots of those. And thanks, Anne, for sharing. Your personality and writing life really speak through these snippets, as well as through your longer answers and bio. Thanks for your lovely comments. I'm happy that you liked reading about Anne McAllister! I joined the crusade too. Such a great idea! The ultimate place, for an author to meet her love in a library, don't you agree? Thanks for joining in the crusade. ha ha dont even make me start day dreaming about meeting a brooding dark librarian - that would just send my little heart into overdrive. I like the writing for yourself advice too mainly bcos I have tried writing according to rules and whatnot but the words just didn't flow. Lastly Nas whoa Nelly! I love this whole blog revamp it really looks stylish around here. I love her quote. It goes hand in hand with the post I wrote today. I was so happy to hear that. Thanks for the lovely comments re the atmosphere! Just trying, you'know! Glad you liked the Spotlight On Anne McAllister todayy! The crusade should be great! It's all awesome meeting fellow crusaders! Hi All, thanks for all the interesting comments. LP, thanks. It was lovely of Nas to post all this information and to take the time. Theresa, my lean, dark-haired, lone-wolf type and I have had a lot of good years. It is definitely a good place to meet heroes! Joanna, he wasn't a librarian -- I was! He was a college professor. Still is. And I'm glad you thought the writing advice was useful. Truly, if you don't make yourself happy with what you've written, it's not worth it. Enjoy what you do! Beth, I'm glad you liked the quote. It has meant a lot to me over a lot of years. Have you checked out HERE COMES THE GROOMS contest yet? Drop by Anne McAllister, Liz Fielding or Kate Walker's blog for a chance to win three of their latest release books! Hello, fellow crusader. Great interview Anne and Nas. Write to please yourself first--great advice! Great to meet a fellow crusader! OK, our first draft is mainly "write to please ourselves" but then we do have to use the mechanics of writing! Hi Nas, I loved the interview! Anne, my favorite romantic movie is The Cutting Edge, too. I'm pretty sure I know all of the lines by heart! Thanks for swinging by and glad you liked our spotlight on Anne McAllister! Nas, great interview! I really enjoyed reading about Anne, and I love her advice about writing your story to please yourself! Glad you came by. And I agree, Anne gives awesome advice! What an inspirational interview, thank you. I agree with her about Persuasion. And I love old movies, but I've never seen Charade. I must change that! Oh, and I'm a crusader too, but I'm glad I already knew you! I also am glad I already knew you and visit your wonderful Blog often! Nas, you have an award waiting at my blog! Thanks for the award! I'll swing by and collect it! Hello fellow Crusader, I'm making the rounds today. Lovely blog post. I like the quote about writing to please yourself and your characters and not your critique partners.